In the post-Christmas slump of January, it’s not everyone that finds themselves happy to have doubled in size. All those Terry’s chocolate oranges might be sources of regret now that February has arrived, but we’re actually pretty happy with how much we’ve grown recently – mostly because it’s all been about our business success rather than festive over-indulgence. 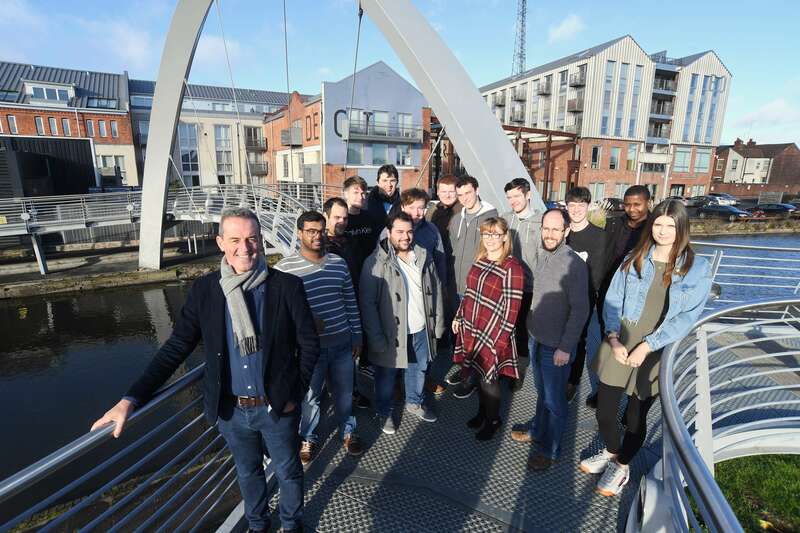 We had such a good 2018 that we’re not even ashamed to boast about it: we took on thirty-two new clients and had to expand our team – doubling in size – just to keep up! From Jaguar Land Rover to Coventry University, as well as big names well beyond our Midlands base, we’ve been going great guns. Mostly, this has been off the back of mobile apps. It’s such an exciting time for mobile software development, and apps really are changing the world. We love the things, because they have such positive impacts for our clients: they simplify business processes and achieve massive efficiency improvements. That’s why there are now sixteen of us in the office, all beavering away on brand new projects, every day. We also still do loads of web design, too – we’ve been chosen to design and develop the website for Coventry’s exciting new indoor water park – The Wave. The preview site is live here www.thewavecoventry.com with full site coming soon. Some of us joined Image+ as apprentices and are still with the company years later – so to see it go from strength to strength feels like a real achievement. From helping engineering and manufacturing clients to adopt new technology rapidly, to getting involved in our home city’s successful bid to become City of Culture, we’re having a ball. What’s good about all this is how well we’ve bonded as a team, too. Every app is a group effort – it’s about understanding a problem and then combining lots of different expertise to find the most seamless solution. The office is a creative place to be, and we’re always exchanging ideas with each other. That’s the engine of any good agency.